Marti Brown is an internationally known instructor. She teaches her classes in her studio in Flemington, NJ and at Bead Fest venues, Bead and Button, BeadFx in Canada, for east coast bead stores and bead societies and at The Tucson Bead Show. She has been featured in Artisan Jewelry Times, an online magazine, and has an online video at Kalmbach’s Jewelry & Beading Store. Marti was always interested in the arts. As a child, some of her fondest memories included art camp, painting in her basement, art classes in summer school, and involvement in choral music. 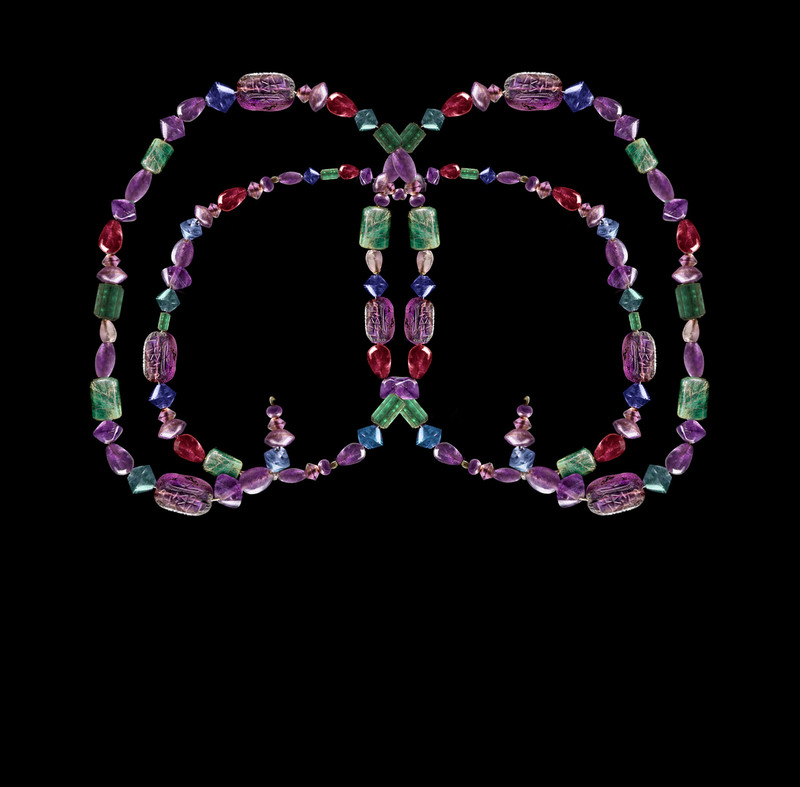 Marti became a professional artist and craftsman after completing her BFA in jewelry making. She has been designing jewelry for over 38 years and loves creating jewelry and teaching. Marti works in a variety of traditional and contemporary jewelry metals and processes; currently working in niobium, a colorful metal, and of course beads. She is constantly looking for new sources of inspiration and has added beadweaving, wireweaving, Viking knit, polymer clay, felting, and PMC bead making to her techniques. Marti is a founding member of the Delaware Valley Bead Society encompassing Hunterdon County in New Jersey and Bucks County in Pennsylvania. 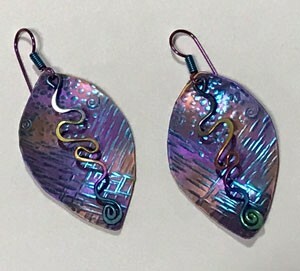 Create a lively kinetic pair of earrings that express your uniqueness in color. Cut your shape, texture with hammers and stamps and then anodize with your chosen colors. Add a colorful dangle that you bend, forge and anodize. Attach anodized ear wires and leave class with your own statement earrings.